Quadracci Pavilion interior wall detail demonstrates light-sculpting impact of the Burke Brise Soleil (217-foot movable sunscreen). Milwaukee, WI. Santiago Calatrava architect. Atrium view of Patrick G. and Shirley W. Ryan Center for the Musical Arts at Northwestern University. Goettsch Partners, architect. Power Construction. Kirkegaard Associates, acoustics. Schuler Shook, lighting. Centerpiece building of Chicago Botanic Garden Regenstein Learning Campus traces a circular arc facing rolling hills and a children's growing garden. 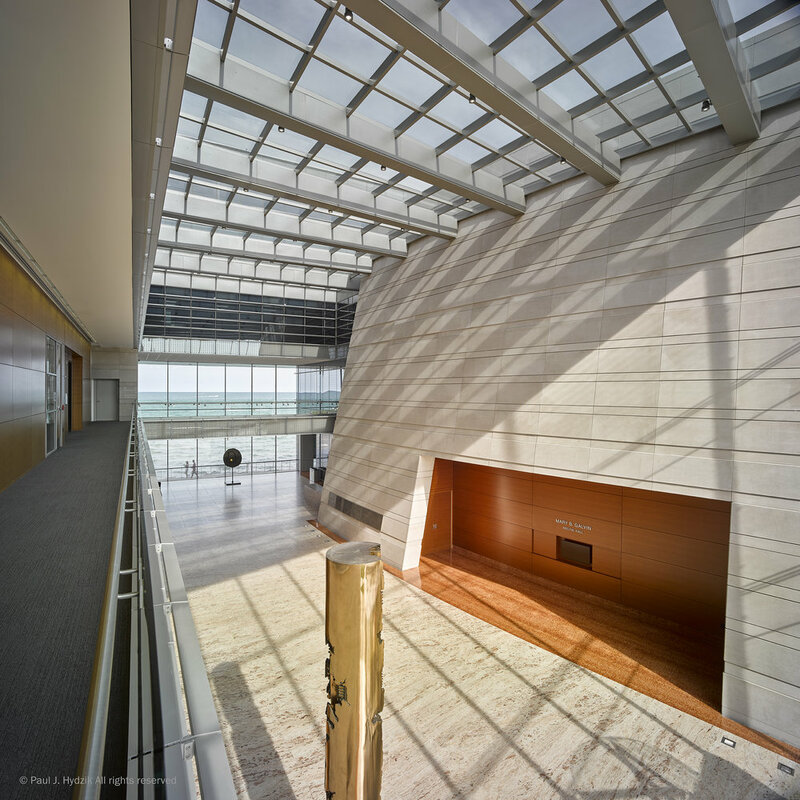 Interior skylights bring daylight to the Astellas Atrium and Grainger Wing, welcoming students of all ages. Glencoe, IL. Booth Hansen, architects. 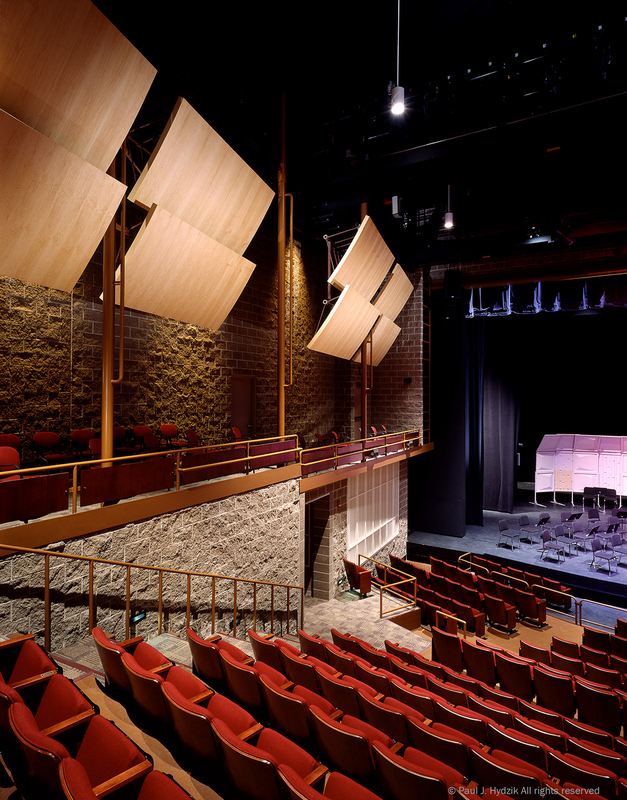 Adjustable sound-reflecting panels ensure quality acoustics for every performance from a large orchestra to an individual artist. Palatine, IL. Dewberry Architects (Burnidge Cassell Associates). Twilight image of theater lobby. Palatine, IL. Dewberry Architects (Burnidge Cassell Associates). Kersten Physics Teaching Center. Hyde Park, Chicago, IL. Holabird & Root architects. Large vertical windows open this two-story bedroom to the world. Wadsworth, IL. Marvin Windows. Belli & Belli Architects. 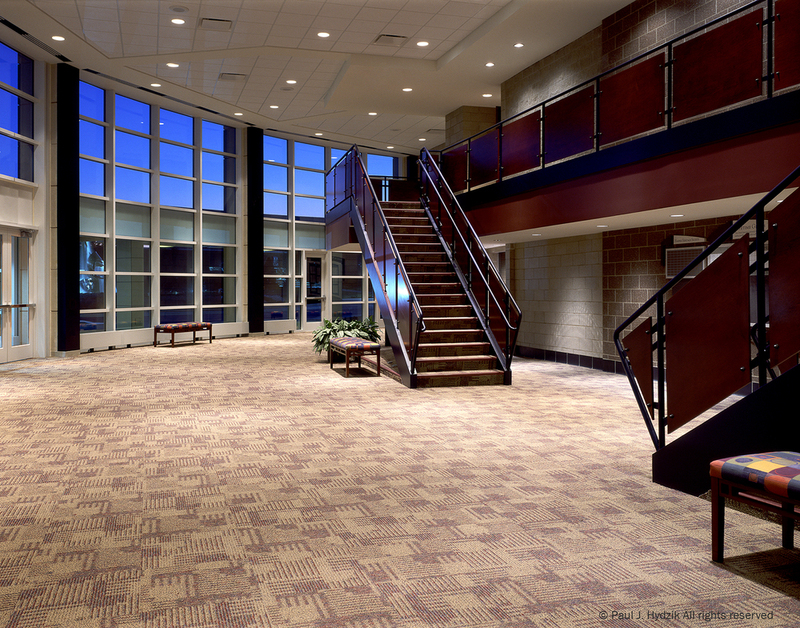 State-of-the art conference facility at the Harper College campus features a 250-seat amphitheater. Palatine, IL. Dewberry Architects (Burnindge Cassell Associates). Living room furnishings detail. Tempe, AZ. Hydzik-Schade Architects. Vestibule and auditorium entrance to this artfully-restored elementary school. Wilmette, IL. Behles+Behles architects. 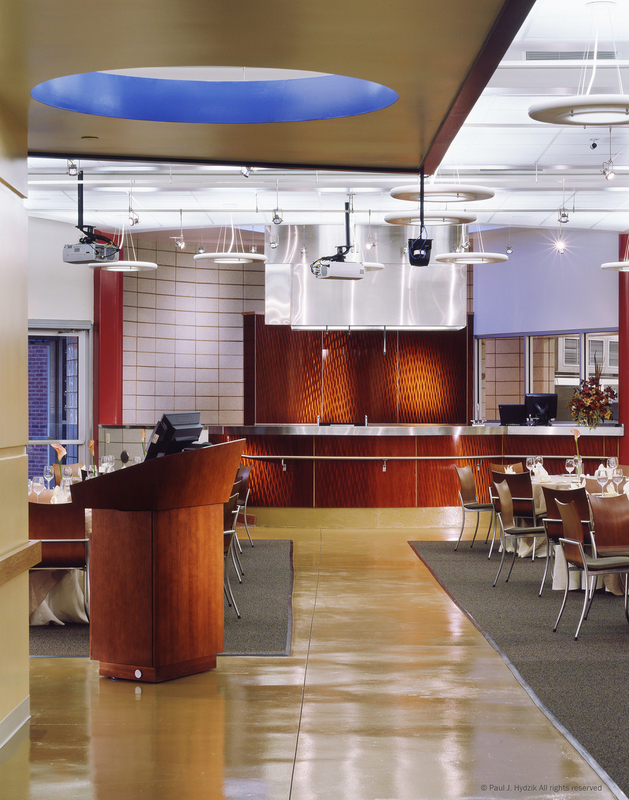 Elgin Community College offers a culinary arts education with dining room and full teaching kitchen. Elgin, IL. Dewberry Architects (Burnidge Cassell Associates). Converted hardware store gives seniors a place to socialize. 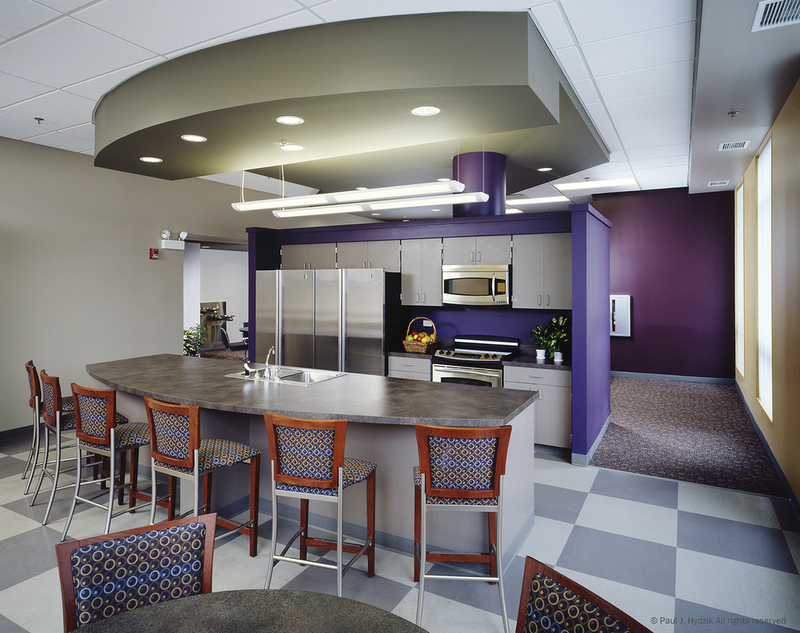 In addition to a full kitchen and dining bar, the facility provides computers (behind kitchen to conserve space), multi-purpose room, crafts area and offices. Cicero, IL. Dewberry Architects (Burnidge Cassell Associates). 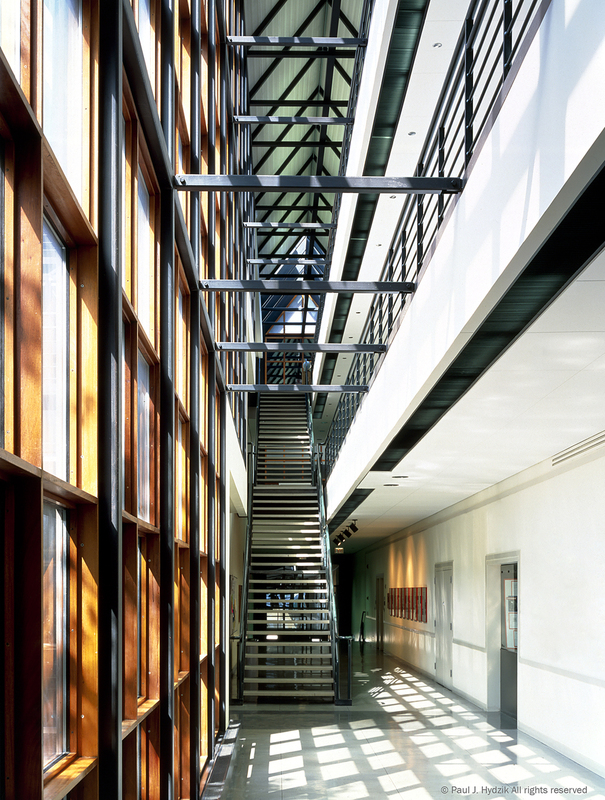 Central core atrium and stair. Skokie, IL. Arzoumanian & Co. Architects. Warm, inviting kitchen and breakfast area. Private residence. Skokie, IL. Arzoumanian & Co. Architects. Vaulted ceiling adds drama to this comfortable living space. Fireplace separates living room from a cozy study. Interior photography, private residence. Skokie, IL. Arzoumanian & Co. Architects. Sharing a fireplace with the living room, this study provides space for casual conversation, reading and relaxing. Skokie, IL. Arzoumanian & Co., Architects. 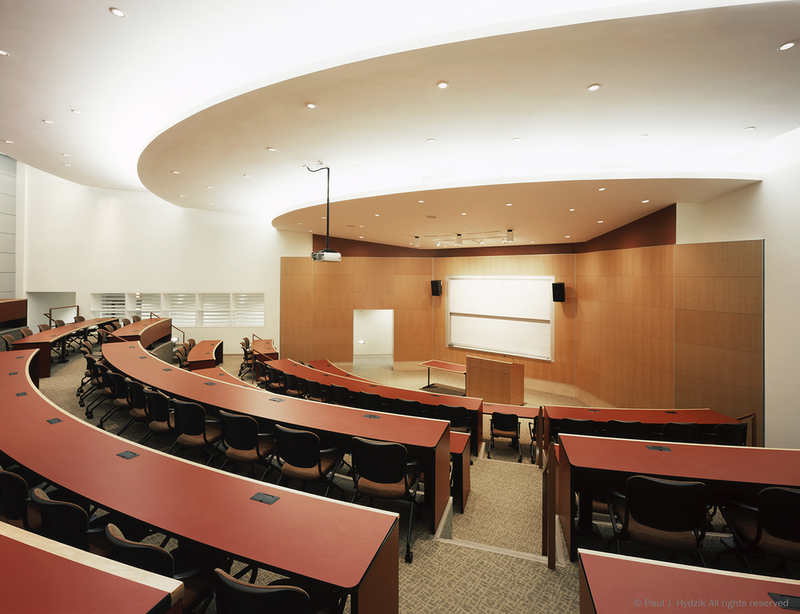 Concordia University Chicago lecture hall. River Forest, IL. Holabird & Root architects. Custom millwork, concrete and a neutral palette create a welcoming reception for ORA Dental Studio. Chicago, IL. Arzoumanian & Co. Architects. 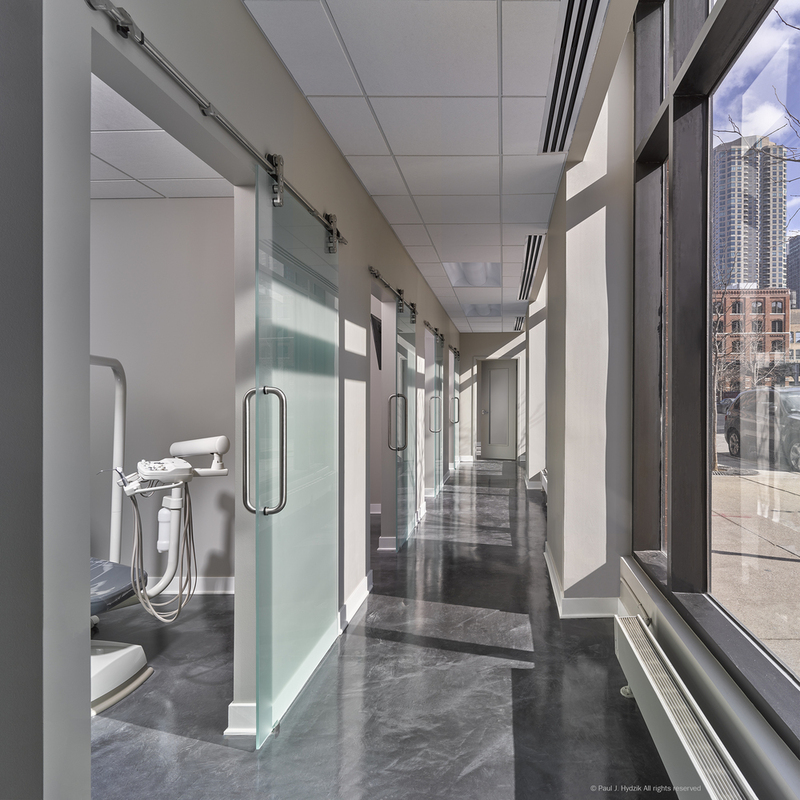 Sunlit main hall for this River North dental practice. 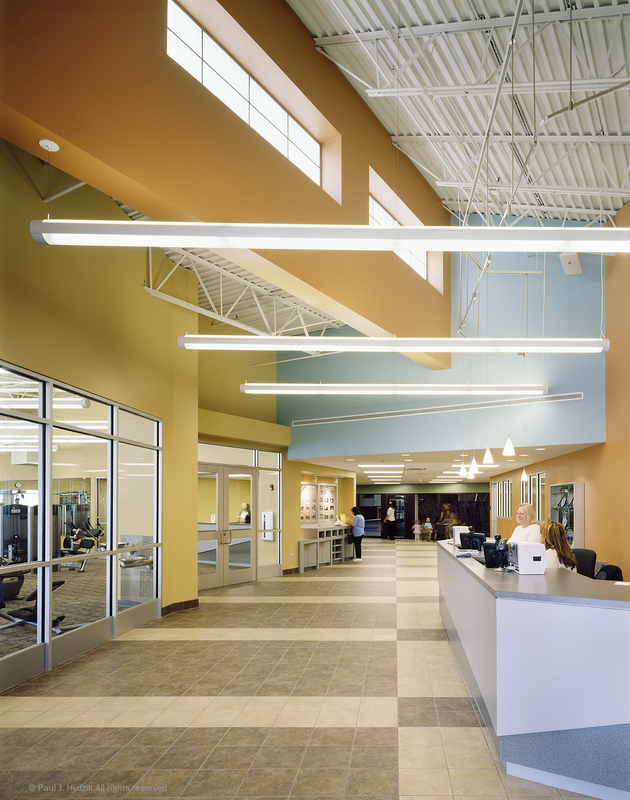 Construction follows LEED (Leadership in Energy and Environmental Design) and GGHC (Green Guide for Health Care) protocols. Chicago, IL. ORA Dental Studio. Arzoumanian & Co. Architects. Main gallery and circulation desk. Flossmoor, IL. Dewberry Architects (Burnidge Cassell Associates). 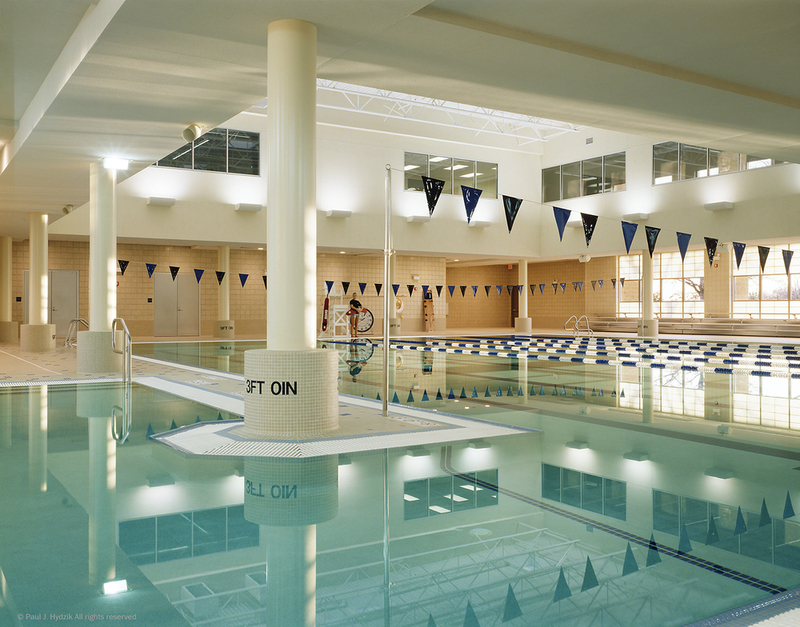 Presence Inwood Athletic Club earned the Park and Recreation Association Outstanding Facility Award. Joliet, IL. Dewberry Architects (Burnidge Cassell Associates). Entry and reception for fitness, tennis and lap pool. Lockport, IL. Dewberry Architects (Burnidge Cassell Associates). Preschool provides a variety of stimulating learning opportunities. Carpentersville, IL. 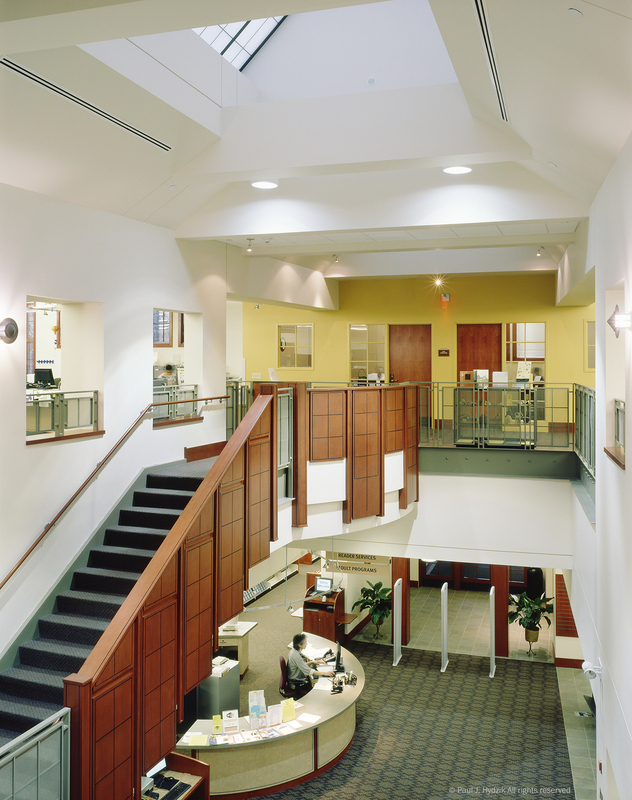 Dewberry Architects (Burnidge Cassell Associates). 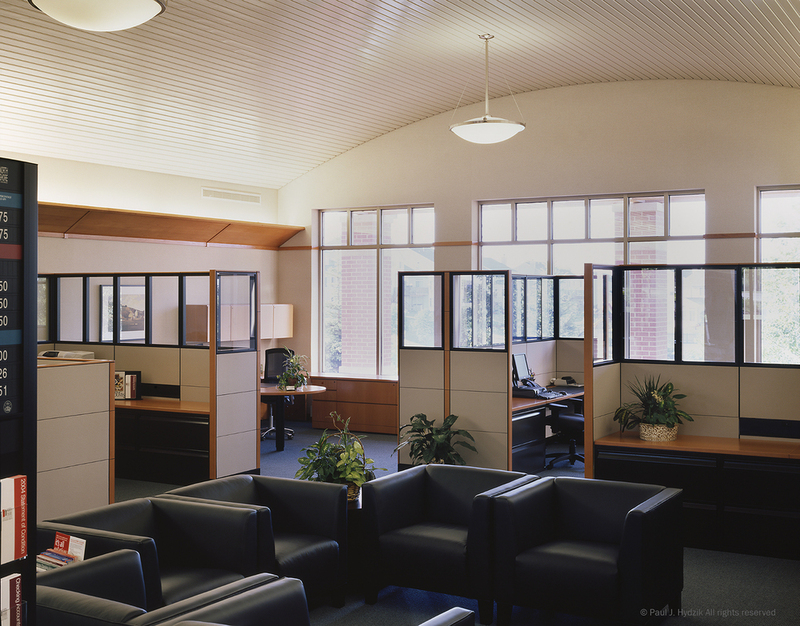 Barrel-vaulted ceiling provides a feeling of openness for customer waiting area and bank officer cubicles. Behles+Behles Architects and Engineers. Private residence. Editorial commission. Palo Alto, CA. Sculptural light port in the interior of the Quadracci Pavilion. Milwaukee, WI. Santiago Calatrava architect.